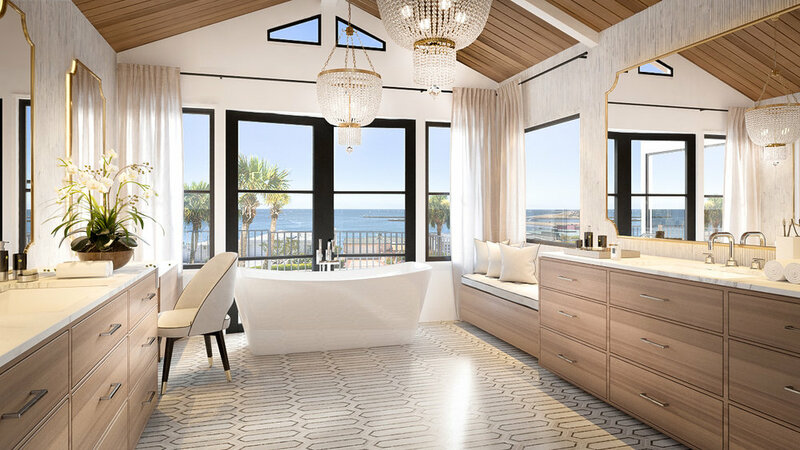 We were hired by the developer of this historic property to completely update the interiors and exteriors to represent a transitional modern design. We are keeping some iconic elements of this house but creating a modern twist with ultra-modern Fleetwood Windows and Doors and updated all cabinetry and finishes in the home. We re-configured several of the bedrooms and create an inviting outdoor Living environment. We are designing all necessary updates to this home; including interior and exterior design elements. 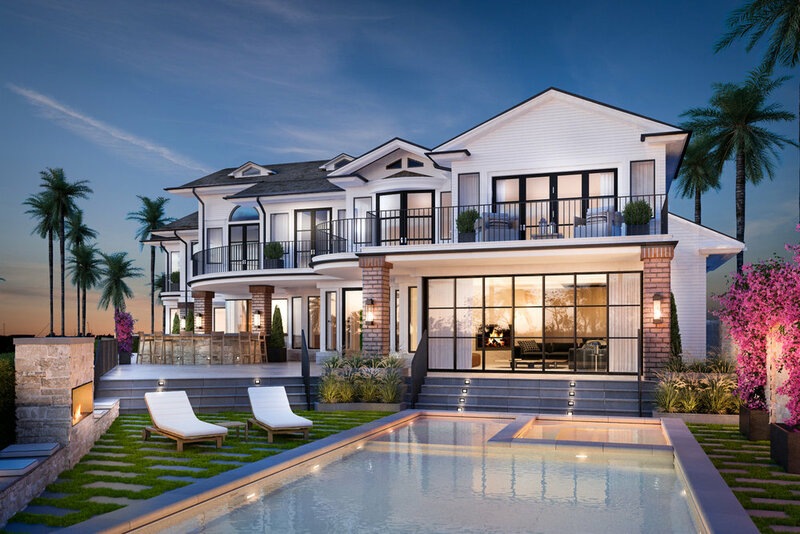 This home showcases a modern coastal aesthetic including marble, limestone, coffered and cedar planked ceilings, custom designed lighting, and of course the highest end fixtures and appliances.